It’s M-I-C-K-E-Y M-O-U-S-E!!! 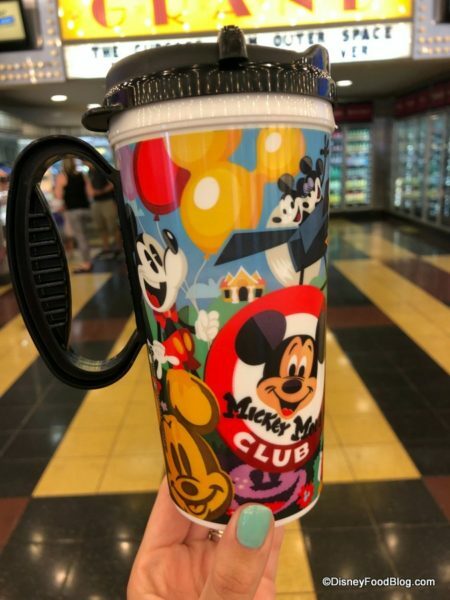 And here in his 90th Anniversary celebration year, Mickey is being honored on a new Refillable Resort Mug! 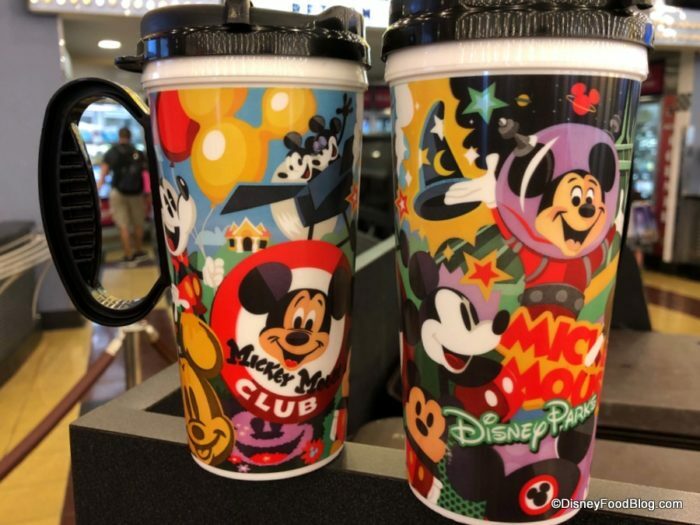 In fact, he’s being honored in a HUGE way, with several of Mickey’s looks and styles over the years depicted on every inch of the cup. We spotted this one at All Star Movies Resort today in the World Premiere Food Court. However, they had NOT yet arrived at All Star Sports Resort’s End Zone Food Court. In speaking with a manager at All Star Movies, since they had JUST arrived, he could not confirm if the Mickey Mouse mugs were simply a seasonal option or if they would be replacing the current style entirely. 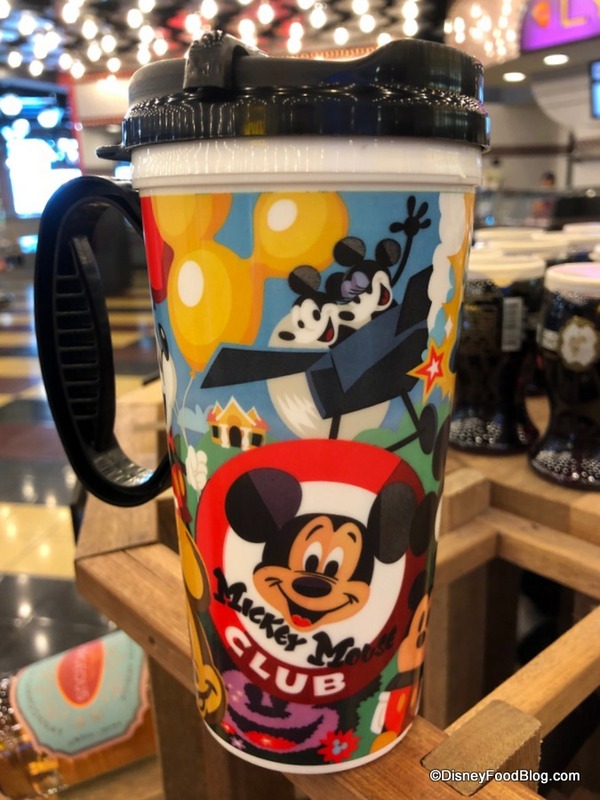 So, if you see one at YOUR Disney World Resort, we’d love to hear about where you found it! And if you DO spot and pick one up, let us know: is this one a keeper for your collection? Because it sure is for mine! Read our FAQs about Disney World Refillable Resort Mugs here! 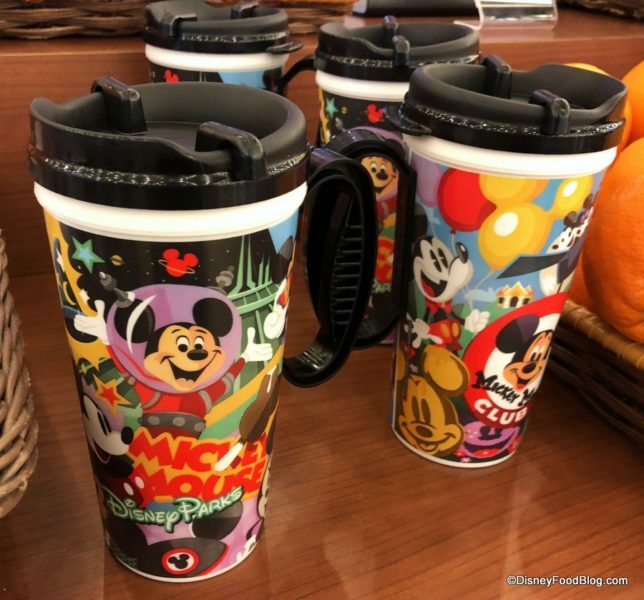 Are you hoping to pick up the new Mickey Mouse-themed Refillable Resort Mug on your next trip to a Disney World Resort? Please let us know with a comment! Those are so cute and I hope they are here to stay!! 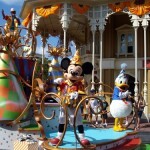 I love the nostalgic feel of them with the many different faces of Mickey!! 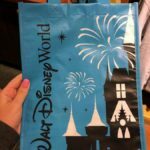 We arrive at Port Orleans Riverside in two days and hope they’re there as we have many of the current version and want to add a new design to our collection. I will report back!! 21 days..I hope they don’t sell out before I can get one! 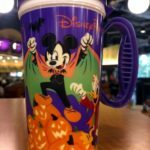 Alsi I loved it when each mug was resort themed! 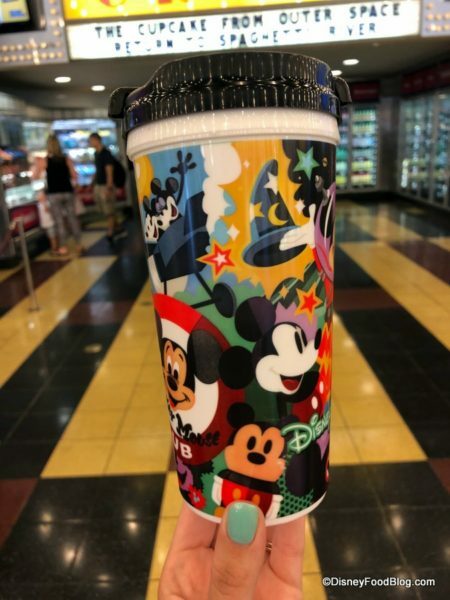 Are they only available at the resorts , or can they be purchased at the parks ? I love them! We are headed to Disney in November! 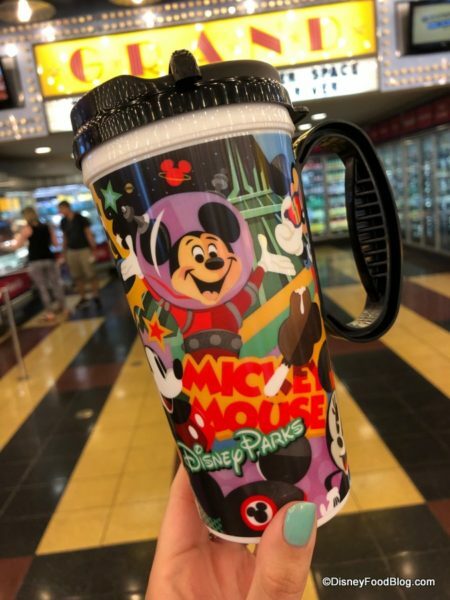 Those new mugs are really cute. I hope they are at all of the resorts when we get there at the end of April. I will definitely get one for everyone. 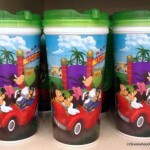 Are they only available at the resorts, or can you get them at the parks to ? I hope they are here to stay! Tom, only at the resorts! Thank you, we are coming over the 1st weekend in April, to celebrate our daughters birthday. We’re not staying at one of the resorts, but we will do a monorail crawl, and get to a resort ( we usually hit them all ), and get my mug. 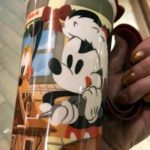 I love my morning coffee out of a Disney mug. I’m taking a trip at the end of August-beginning of September and I really hope this mug is still around. Going in May to stay at FW campgrounds, hope they have these!